Check out our latest project with Buzzfeed and Dreamworks Animation. Whether you've got a napkin sketch or a full turnaround sheet, we can make your character a 3D model while maintaining the appeal of the 2D design. All jobs are commissions, meaning you own the end product, the 3D model file, and retain full legal rights to the work. Contact us for more information on these options or a custom job quote here. 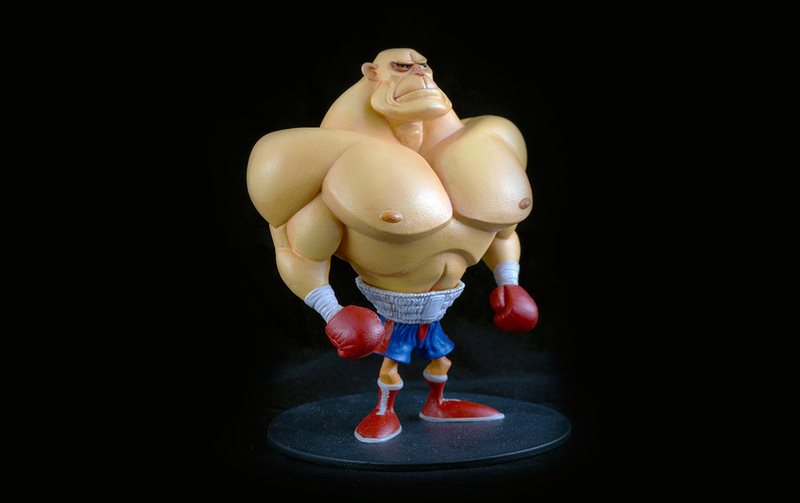 We partner you with one of our professional 3D artists to create the perfect digital sculpt from your 2D design. 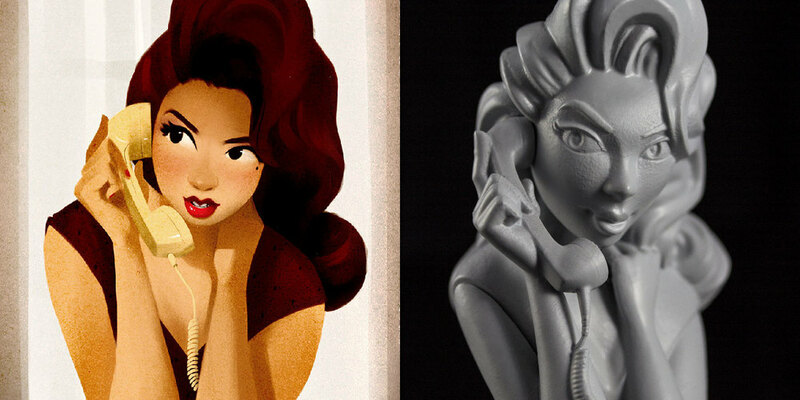 This sculpt is then be used to generate a 3D model for illustration, animation or 3D-print. We also offer molding/casting services to prepare multiple resin casts of your design. Aiman Akhtar is a 3D Artist who specializes in stylized character development for animation and 3D print design. After 6 years of working at various commercial studios in Chicago for top brand clients such as Harley-Davidson and Hotels.com, he left to pursue a career in entertainment design in Los Angeles and has since worked for VFX, animation and game companies including Aaron Sims Creative, Alliance Studios, Method Studios, Nickelodeon, Psyop and Stoopid Buddy Studios. In addition, Aiman is the resident 3D print expert at Mold3D academy where he teaches 3D Printing for ZBrush Artists and shares tutorials on his projects and the 3D printing industry. 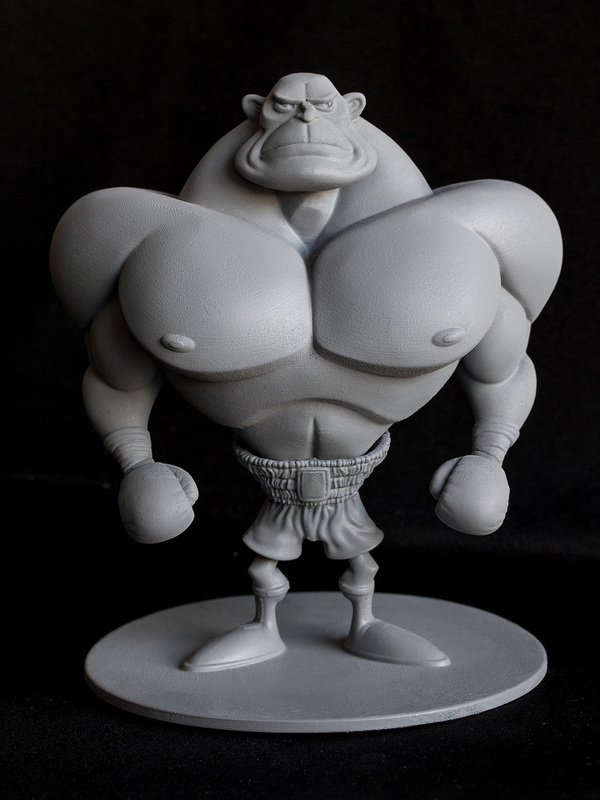 In 2015, Aiman created 3D Smiths LLC, a character development/3D print design company which specializes in transforming 2D characters into 3D sculptures. 3D Smiths is composed of a network of professional character artists working in all aspects of the entertainment industry. We can tackle 3D sculpting/printing projects for collectible toys, products, jewelry, wearables, and even fully 3D printed costumes. Why make digital 3D sculpts? 3D sculpts of your characters are a vital step into building your brand and intellectual property for animation, game, VR and toys. 3D Smiths is an artist run production studio. Our artists are vetted professionals currently working in the entertainment industry and specialize in creating the highest quality end-products possible. Studios and Artists both retain legal and otherwise ownership of the work. 3D Smiths simply provides the service. What about a secret project? Our 3D artist(s) are happy to sign artist licensing agreements and/or NDA's before we go into production. Where is 3D Smiths located? We're based in Los Angeles CA. We can ship 3D prints and physical productions within US and Canada and digital files around the globe. Depends on the job and the final output. Can you give us a ballpark estimate? Character 3D sculpts can cost anywhere from $400-$5k or more depending on style, details, complexity, number of characters, timeline and scale. 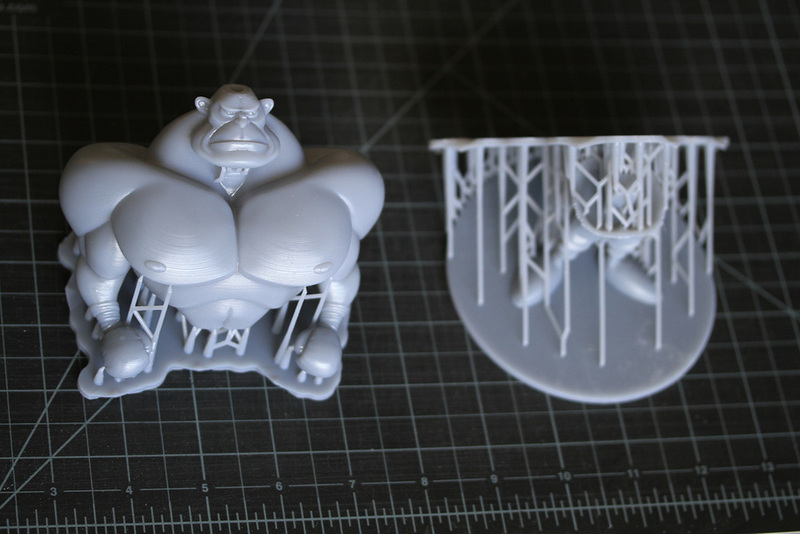 3D prints and molding/casting are priced by scale of the final product, ranging from $200 - $2k or more. Depends on the job and the final output. We can accommodate a rush order timeline. Contact us for a quote. Can 3D Smiths help us make Vinyl toys? We can help you prototype your toy, figuring out the 3D design, appealing style, slicing, keying, tolerances and articulation. We can also help create a small batch order of castings, then refer you to partners who can fulfill larger factory orders. Can 3D Smiths help us create branded products? Indeed we can, but 3D Smiths is more of a design studio, so after completing a small batch. We can then refer you to partners who can fulfill larger orders. Can 3D Smiths manufacture and distribute toys? 3Dsmiths is growing, and we're steadily building partnerships with various manufacturers and distributors to expand our services for you. Got a question not listed here? Contact us!